Cuskinny Court have hostel style accomation 40 beds ..use of kitchen/showers etc. 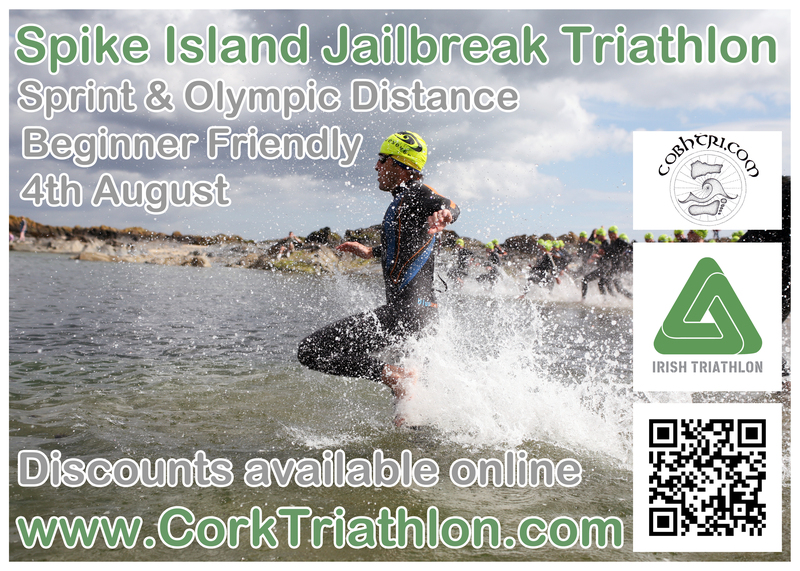 As you are aware our club event is taking place on Sunday August 4th in Cobh. Planning for the event is going well with lots of activity taking place with local business people, event organisers and organisations supporting all three aspects of the triathlon. We need club members to help out with the marshalling so if anyone is available to marshal then please contact Terry Murphy tjmurphy01@gmail.com. Remember that marshalling is critical to the success of the event and the club policy suggests that if you did not marshal last year or if you participated in the event then we would like you to marshal this year and vice versa. If any club member is not marshalling and would like to participate in the full event then please sign up! Also, if any one would like to participate in a relay and is looking for a swimmer, cyclist or a runner then please emailanne.hennessy@vitaeconsulting.com and Anne will try to put people in touch so that you can create a team and complete the event. If you know of work colleagues who would be interested in creating a relay then please contact Anne as well. If this glorious weather continues we are hoping to have the prize giving on the rooftop of the Commodore Hotel (weather permitting) – a unique setting and a fantastic place to view the course.